Over the past 29-years, Mr. Zell has designed and managed numerous types of civil engineering projects located in Arizona, New Mexico, Texas, Nevada, and Colorado. Mr. Zell has been involved with projects that have used the design-bid-build method of construction as well as the design-build model. He has earned a proven reputation from owners, architects, and contractors for well-designed projects, excellent service, and responsiveness to project schedules. Projects have ranged in size from small ½-acre commercial parcels to 60-acre high-tech semiconductor facilities. 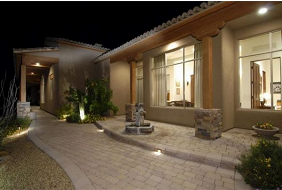 Satisfied clients have included custom home lot owners, architects, national corporate clients, general contractors, municipalities, and the United States Postal Service. Click here to see a sampling of Mr. Zell's project experience.